Good morning! Wow, where did the time go? I can't believe it's the end of the month already!! It seems like March just flew by! Oh well just another day closer to nicer weather. 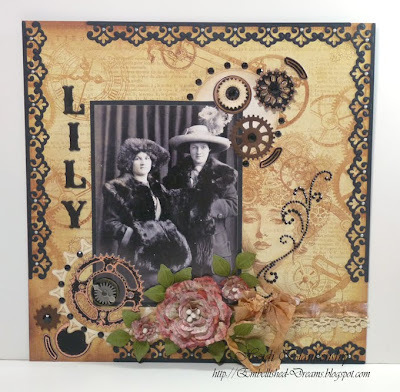 ;-) Today, I have a scrapbook layout to share with you. 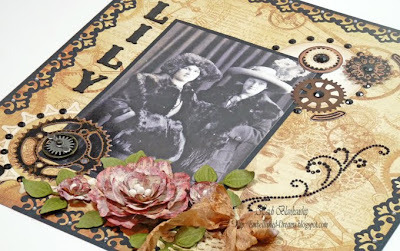 The designer paper is Steampunk Debutant from Graphic 45 and I used several die templates from Spellbinders™. One of the ladies in the photo was a relative to my grandpa and her name was Lily. I love this photo! I used the S5-048 Sprightly Sprockets die templates from Spellbinders™ to tie in the Steampunk look. I used the Grand Calibur™ to cut/emboss the die templates and I used Simply Smooth Ivory, Milk Chocolate cardstock from Discount Cardstock. I inked the edges with Tuxedo Black and Rich Cocoa ink. 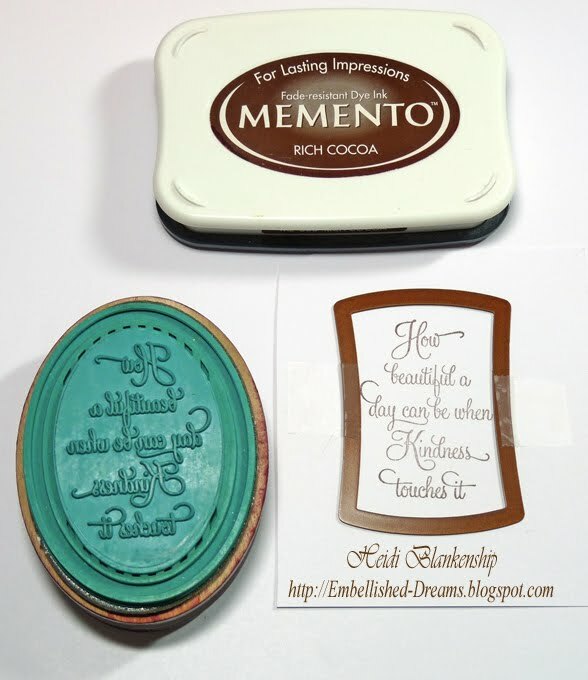 I also used Copper Engraving Art Foil and sanded the edges to reveal the copper foil. Then I added Black Rhinestones from Want2Scrap and a gear from Tim Holtz for embellishments. 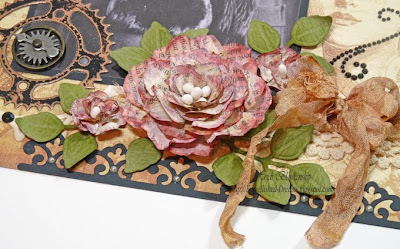 I used old book pages and the Grand Calibur™ along with S5-050 Rose Creations to cut the roses. 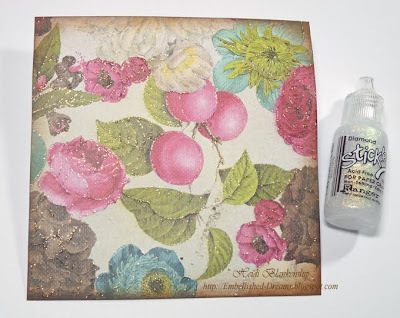 I used ivory paint to do a dry brush paint over the flowers and then I inked them with Spun Sugar and edged them with Fired Brick. Then I crinkled, shaped and layered the flowers. I used Zip Dry from Beacon Adhesives to glue all of the layers together. 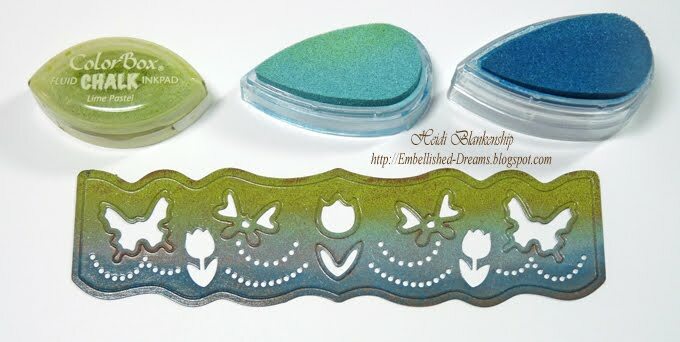 For the leaves I used S4-328 Foliage with Posh Green Crepe paper and then inked the leaf die cuts with Peeled Paint Distress Ink from Ranger. 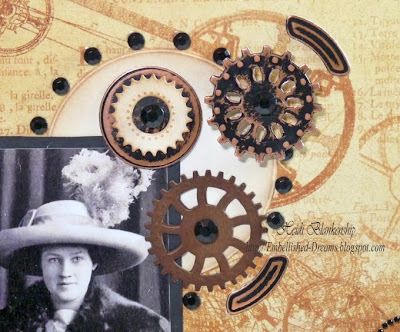 I love the picture of the lady on the Steampunk Debutant paper from Graphic 45. 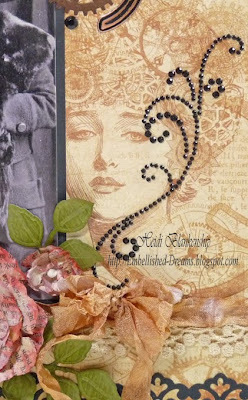 I wanted to showcase the image so I used the natural curve of the Black Finesse Rhinestone Swirls from Want2Scrap. 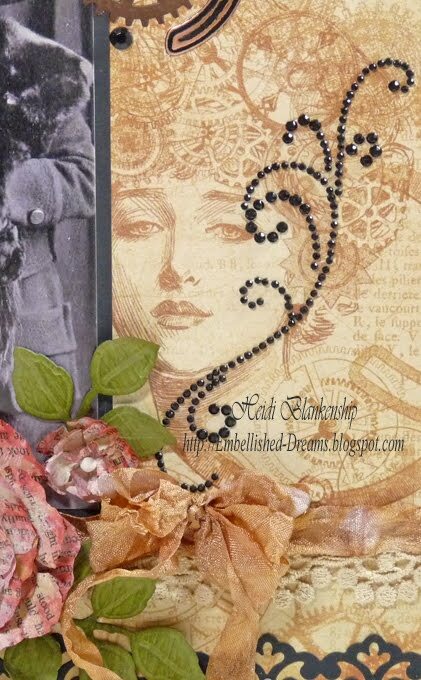 I used the border from the S5-034 Parisian Accents from Spellbinders™ and White Baby Pearls from Want2Scrap to edge the layout. I used Zip Dry from Beacon Adhesives to adhere the borders. Zip Dry works great for small detailed pieces because if there is a little glue that comes out from the edges you can just rub it off. Love that! I used chipboard letters from My Mind's Eye and inked them with Tuxedo Black Ink. Thank you so much for stopping by today! I hope you are having a Fantastic Week!! Good morning! Now I know you might being looking at this card thinking is this a Simply Sunday card? The answer is no, even though it could be a card for Simply Sunday it's not LOL! I think the image is so beautiful and I wanted to showcase it so I didn't add much to it. 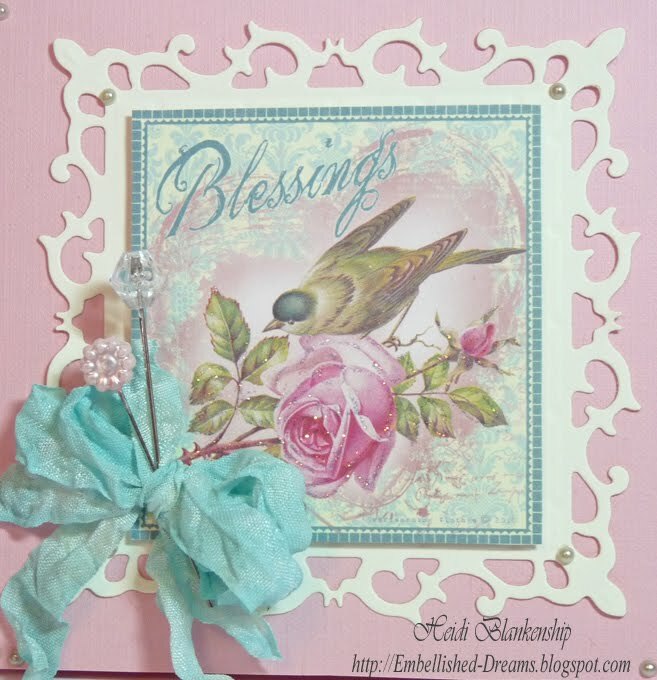 The image is from Crafty Secrets Little Blessings Creative Scraps. I added a little Diamond Stickles to the roses. I kept the embellishment pretty simple too. 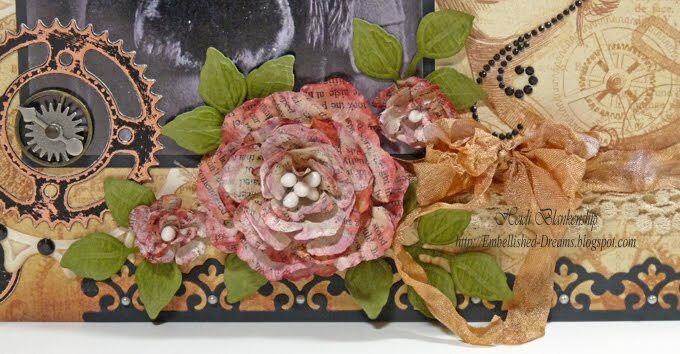 I added some LeCreme Baby Pearls from Want2Scrap, Hand Tinted Seam Binding, and a couple of trinket pins from Maya Road. Like I said the card is very simple but the image is so beautiful I love how the card turned out! Thank you so much for stopping by today! I hope you have a creative day!! **Edit** Sorry for the delay on the post!! I was gone all yesterday and had this scheduled to post but didn't realize it never posted! Good morning! Today, is my fifth and final week as Guest Sketch Artist for Skipping Stones Design. I want to say a Huge Thank You!!! 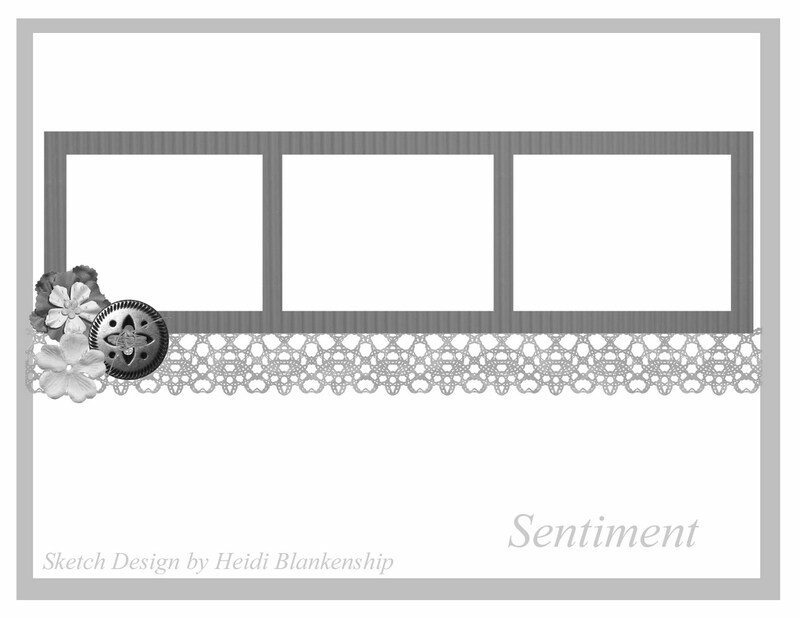 I have really enjoyed creating the sketches and the cards and being able to see how the other designers use the sketches to design their cards. 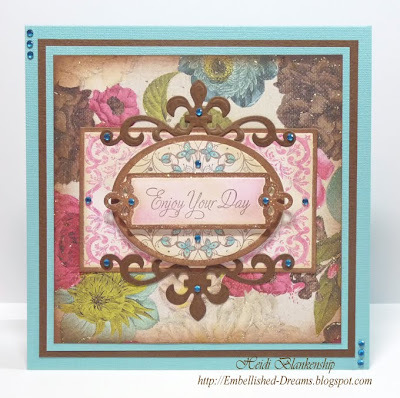 I am very excited to share my card and sketch with you today! 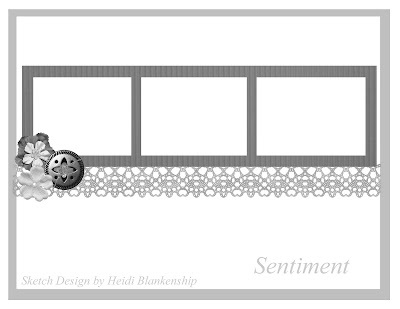 Here is the card that I designed for the sketch. 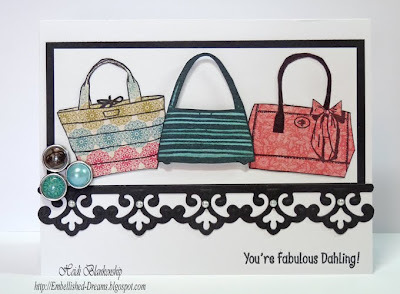 I used Birthday Purses stamp set from Skipping Stones Design and paper piecing with My Mind's Eye Paper. Here is the sketch for this week. Thank you so much for all of the wonderful comments over the past few weeks!! 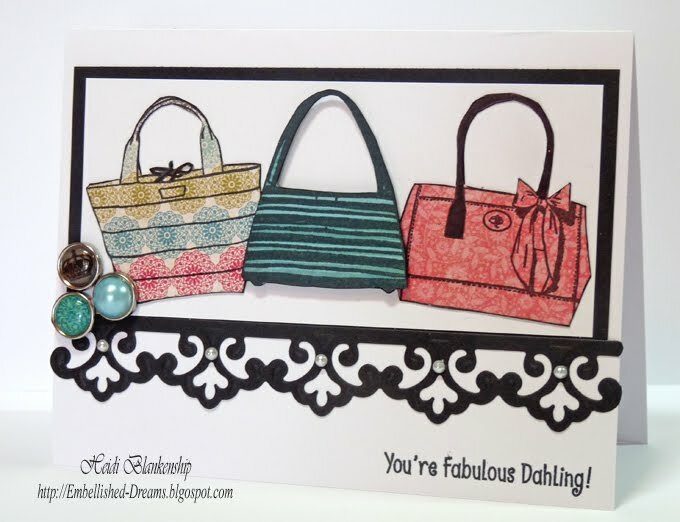 I have really enjoyed being a Guest Sketch Artist for Skipping Stones Designs!!! Thank you so much for stopping by today!! 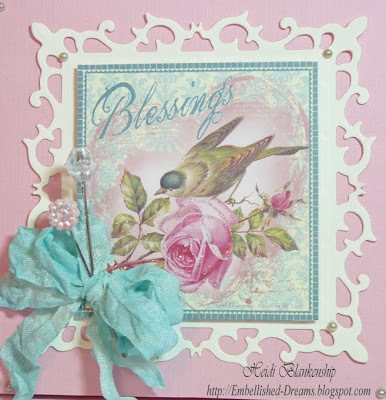 On a more personal note I want to say a HUGE Thank You for all of the Fabulous comments on the Spellbinders Bunny Blog Hop!!! I read each and every comment and I want you to know I appreciate all of your kind words so much!!! THANK YOU!!!!! NOTE: Comments eligible for blog candy end at #731. Thank you so much for all of your wonderful comments about my project!! I appreciate it so very much!!! Welcome to the third day of the Spellbinders™ Bunny Hop! 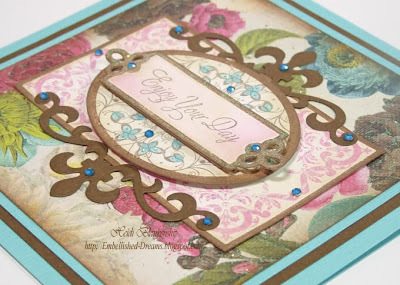 In honor of National Craft Month and spring, we’re showcasing our spring themed die templates. We have ten talented designers – two each day for five days – ready to usher in spring with creative projects and fabulous prizes! Hello! 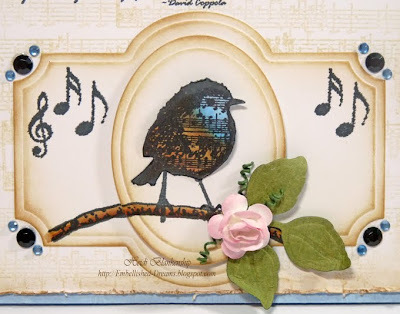 Welcome to the Spellbinders Bunny Blog Hop! Remember, to be eligible to win the prize you must leave a comment here on my blog. You will have until Midnight on March 23nd (a full 24 hours). I’ll use random.org to select a winner and the winner will have 48 hours to claim their prize. The winner will be announced on my blog as well as the Spellbinders Blog. 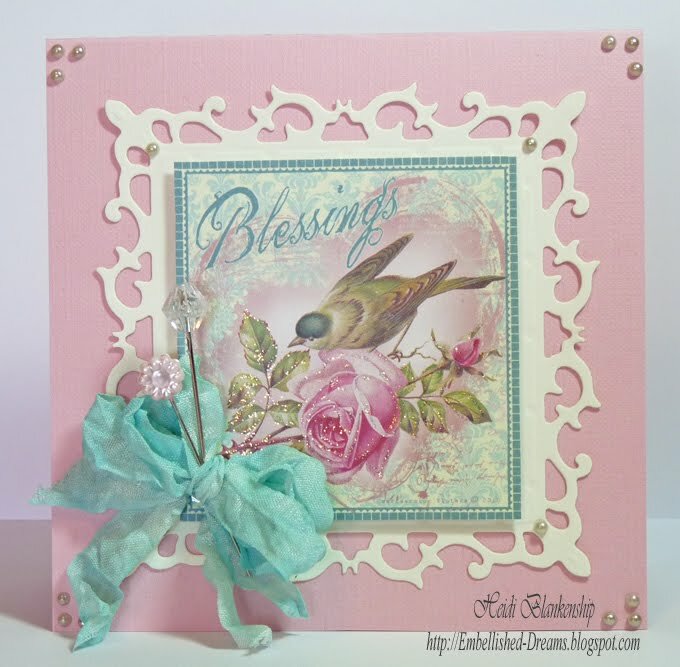 Here is my card that I created using the S4-307 Reverse Wonky Rectangles, S4-237 Easter Border Petites. 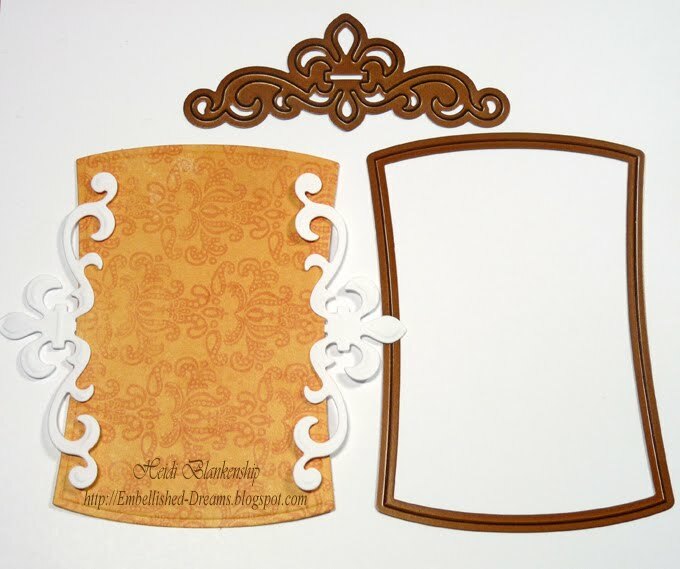 I also used S5-043 Fleur de Lis Motifs for accent pieces. 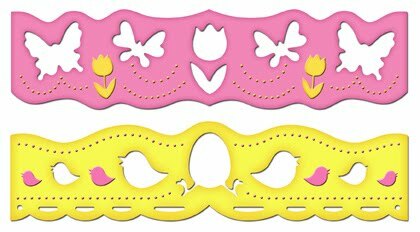 To start I cut/embossed S4-237 Easter Border Petites. To make sure that I have perfect placement of the die template I tape the edges and then use the Grand Calbiur™ to cut/emboss the border. 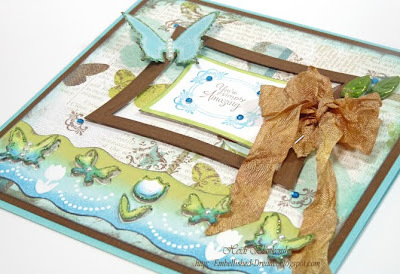 Look at this cute little border with a decorative edge! Now I know this is an Easter die template but I will show you if add a little something in front of the egg you can also use this die template to create fun borders for some pretty Springtime card. I love it when I can get double duty out of my favorite products! I lightly inked the edges and over the embossed area to really make all the small details in the embossing pop. Here is a close up of the border. 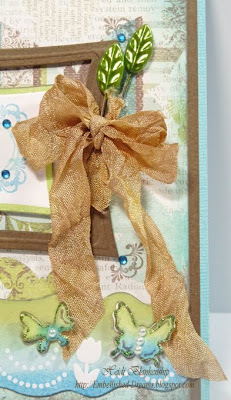 By adding a bow made with hand tinted seam binding I have kind of camouflaged the little egg. So now instead of looking like an Easter only border you can use this for Springtime cards and I think it would be a really cute border for baby cards too! Here is the 2nd card that is now just for fun with a step-by-step tutorial to share with you. 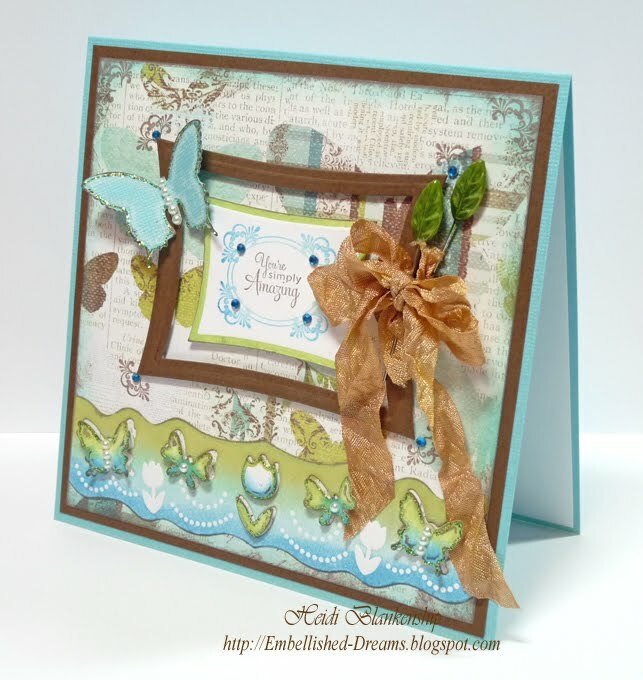 *wink* I started with the butterfly and tulip border from the S4-237 Easter Border Petites die template set. I already had my background paper picked out for the card and I wanted to do the Reverse Stencil technique with the border so I could match the color to the paper. To do the Reverse Stencil technique apply ink directly to the inside of the die template as shown in the photo. 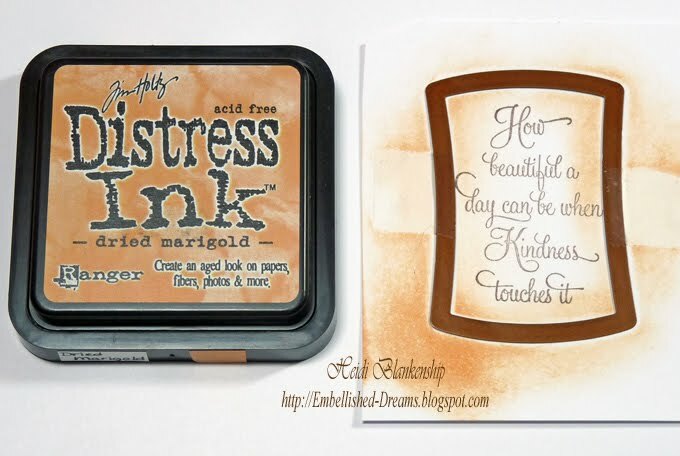 This technique works best if you use a chalk or pigment base ink, an ink that is a little thicker and doesn't have a quick drying time. I used Lime Pastel, Ocean and Dusk Blue inks. 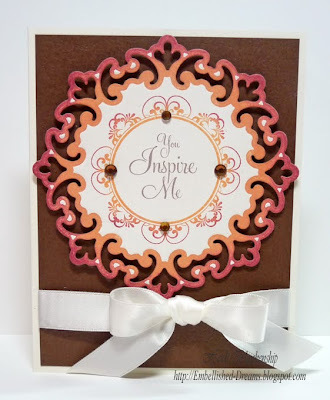 Then I used the Grand Calibur™ and place a piece of Simply Smooth White cardstock on top of the die template and cut/emboss the die cut shapes. 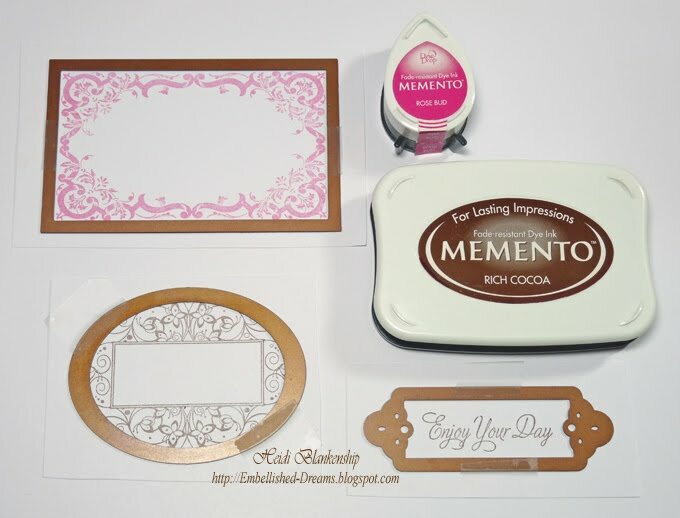 As you can see from the photo the ink that was applied to the die template was pressed into the paper creating a reverse stencil. 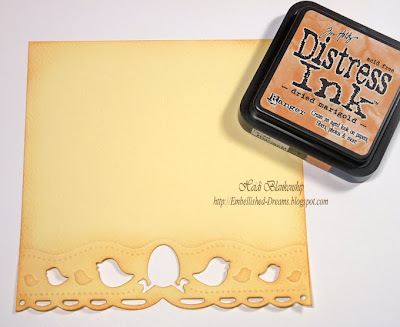 Also you don't have to use several colors of ink to do the Reverse Stencil technique, you can just use one color if you would like. I used three colors of ink to match the different colors in the designer paper. Before adding the border I inked the edges of the Prima paper from the Madeline Collection using Dusk Blue and Rich Cocoa. Next I used Zip Dry™ from Beacon Adhesives™ to adhere the border. I used Lime Pastel, Dusk Blue and Rich Cocoa to ink up the butterflies and then I added White Baby Pearls from Want2Scrap for the body of the butterflies. Here is a close up of the border on the card. 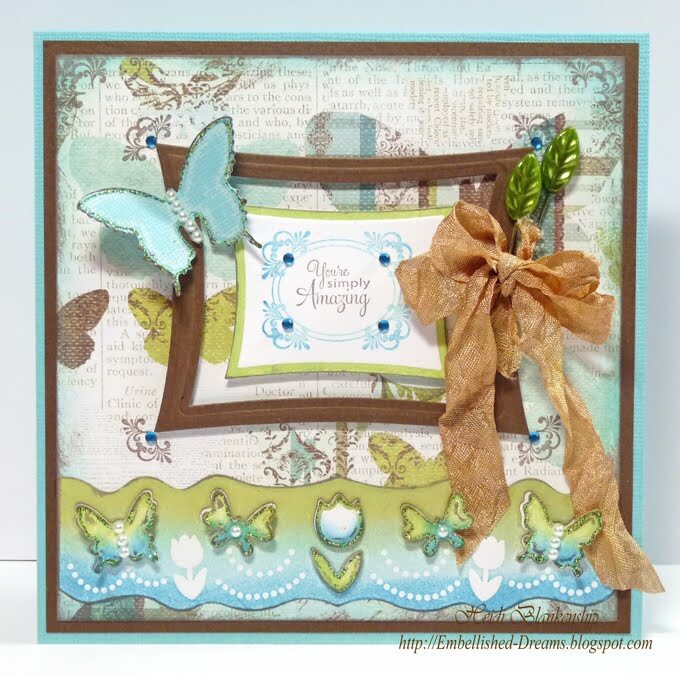 I used 3D Foam Squares from SCRAPBOOK ADHESIVES By3L™ to add some dimension to the butterflies and tulip. Then I added Lime Green Stickles to the edges for the butterflies and tulip for a little sparkle. It is so easy to create frames with Spellbinders die templates! 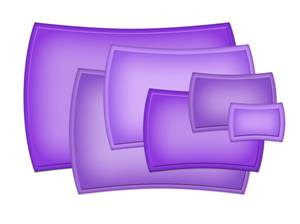 I used S4-306 Wonky Rectangles #4 and #5. Once I had them lined up I added a couple pieces of tape to hold the die templates in place and then used the Grand Calibur™ to cut/emboss the frame. For the sentiment I used CL-02075 You Inspire Me stamp set from JustRite Stampers. I used Rich Cocoa ink for the sentiment. For the frame I used Ocean and Dusk Blue ink. Then I used Lime Pastel ink and the Reverse Stencil Technique. 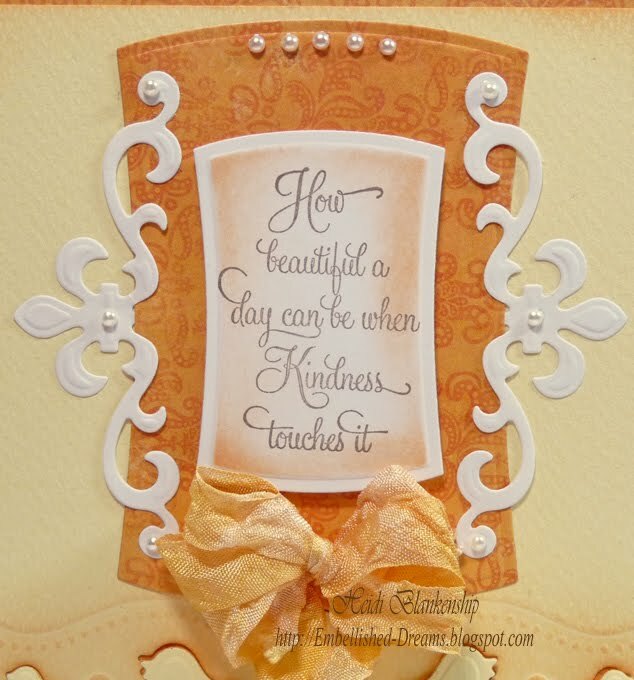 I used S4-306 Wonky Rectangles #3 and the Grand Calibur™ to cut/emboss the shape. Here is a close up of the frame and sentiment. I added a bow made with hand tinted crinkle seam binding and a couple of Leaf trinket Pins from Maya Road. 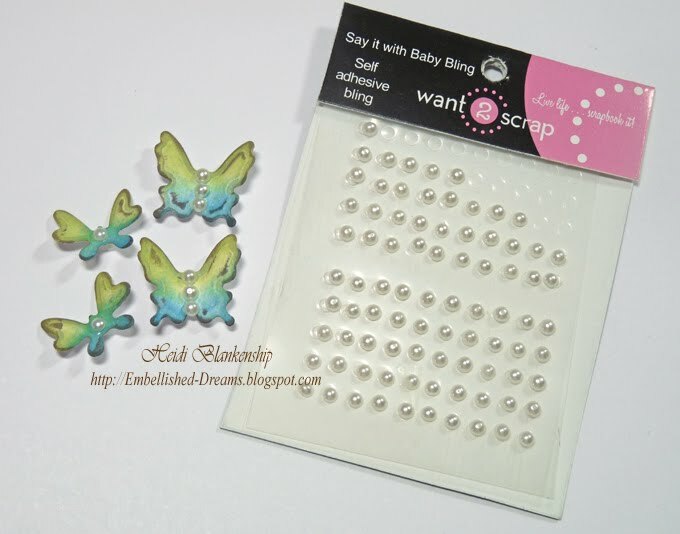 I used S5-051 Fanciful Flight die template set to create the butterfly die cut, added Lime Green Stickles and White Baby Pearls for the body. 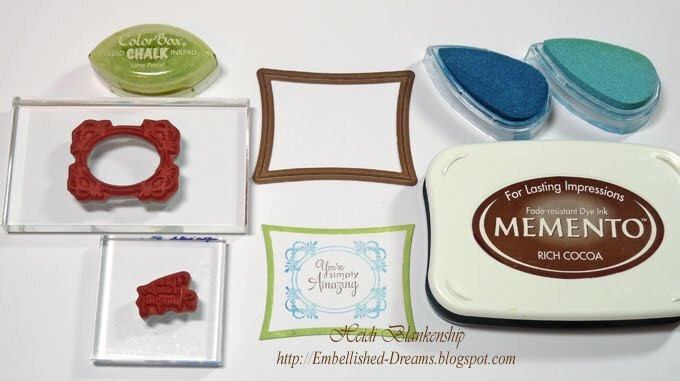 Please leave a comment to be eligible to win the Spellbinders die templates I featured today! 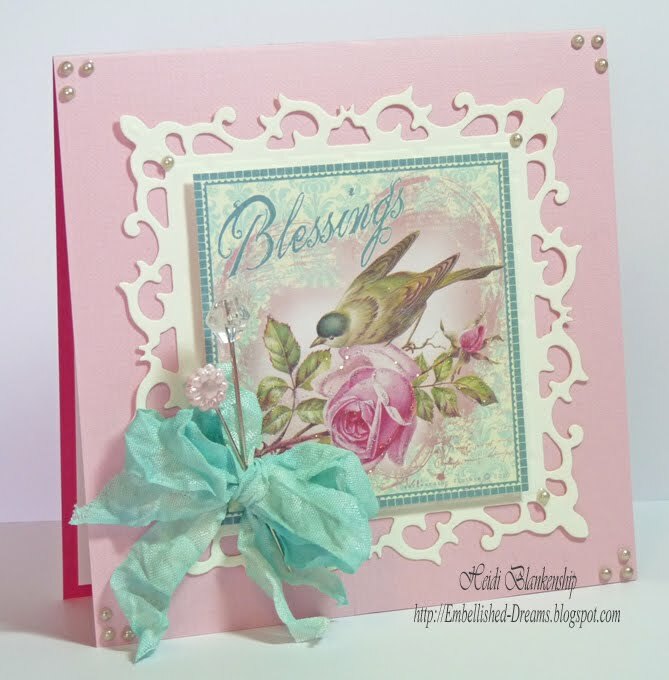 Then check the Spellbinders Blog tomorrow to see if you are the winner! Thank you so much for stopping by today! I hope you enjoy the blog hop!! Good morning! Today, is my fourth week as Guest Sketch Artist for Skipping Stones Design and I am very excited to share my second card and sketch with you. Here is a close up of the sentiment in the upper corner. 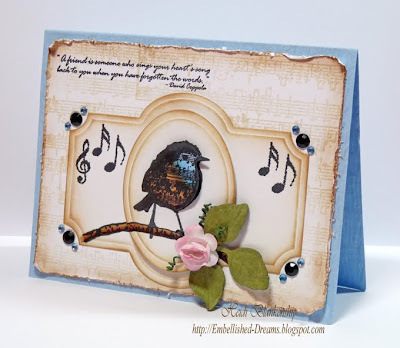 Here is a close up of the sweet little bird image. I stamped the image of the bird three times, once onto the label, then the oval and also on another piece of paper. I colored the bird with Copic markers and then hand cut the image, added 3D Foam Squares and layered the images. 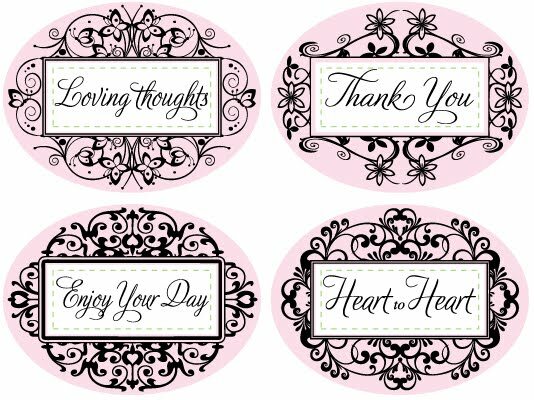 To make the diecuts I used the Grand Calibur™ and S5-027 Labels Twenty-One, S4-110 Classic Ovals Large and S4-328 Foliage die templates from Spellbinders™ to cut/emboss the shapes. 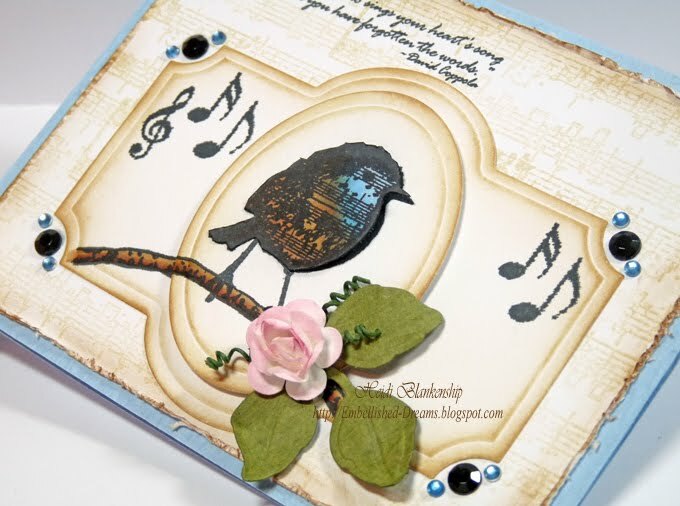 I added some Black and Baby Blue Rhinestones from Want2Scrap for corner accents around the label and a Prima Rose. 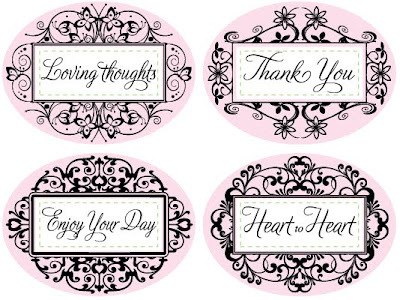 Thank you so much for stopping by today and I hope you have a Terrific Tuesday!! Good morning! 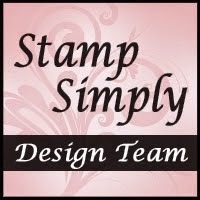 Today JustRite and Stamper's Dream are teaming up for a Design Team March Blog Hop! Along the hop we have 3 great blog candy prizes hidden!! No one knows where the blog candy is! For your chance to win one of these three prizes simply leave a comment on each blog. 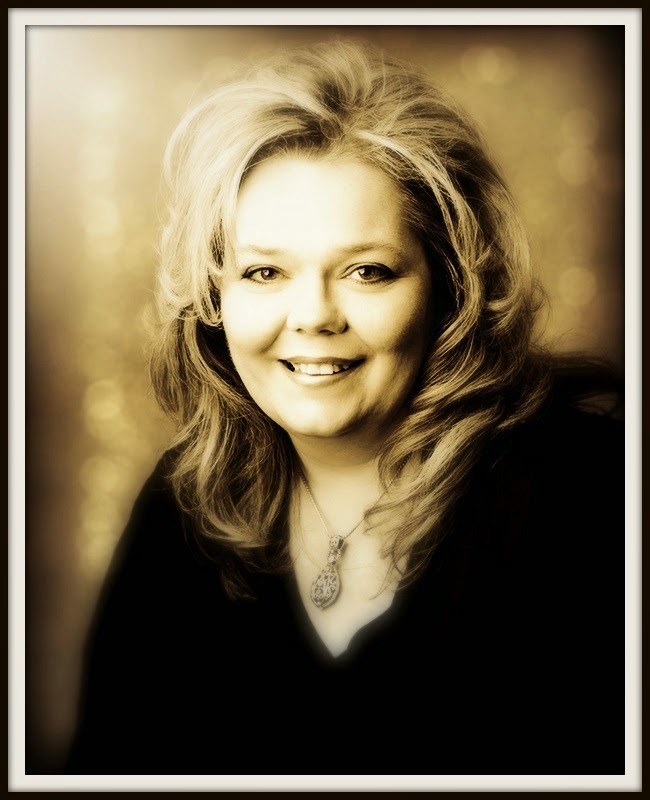 Blog comments will remain open until 8 pm CST - Tuesday March 22nd. The 3 winners will be announced on the Stamper's Dream Blog and the JustRite Blog on Wednesday March 23rd. 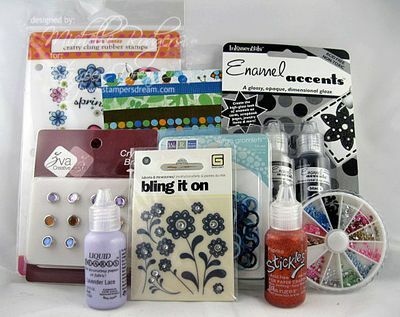 Here is what you have a chance to win - 4 JustRite Stamps sets of your Choice, A $50.00 Prize package from Stamper's Dream (as shown in the photo below) or a $50.00 Shopping Spree to the JustRite Webstore. Sounds like some Fabulous prizes to me!! I will have a link list with all of the Designers at the bottom of this post so you can visit each blog, leave a comment and have a chance to win the hidden blog candy!! 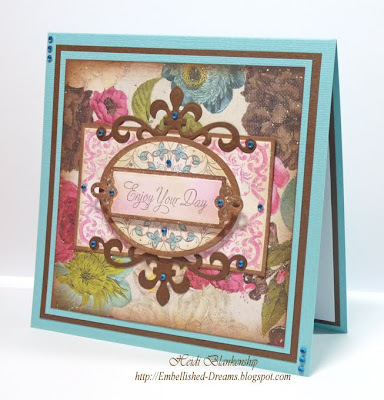 For today's blog hop I created a card to share with you using JB-09855 Heart to Heart and CL-02105 Elegant Frames stamp sets from JustRite Stampers. 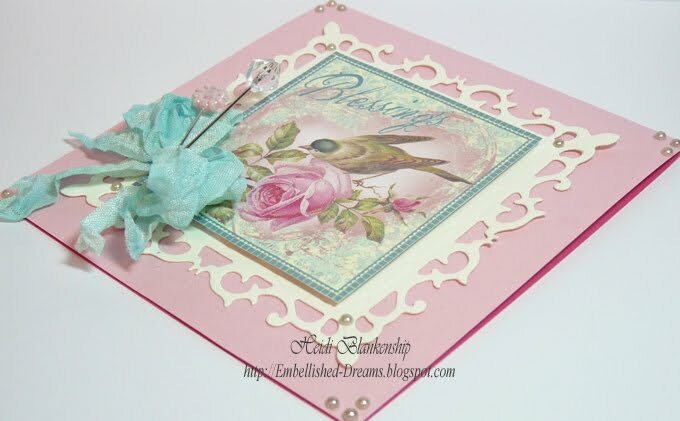 This is the JB-09855 Heart to Heart stamp set with included 4 Center Sentiments and 4 Interchangeable borders. 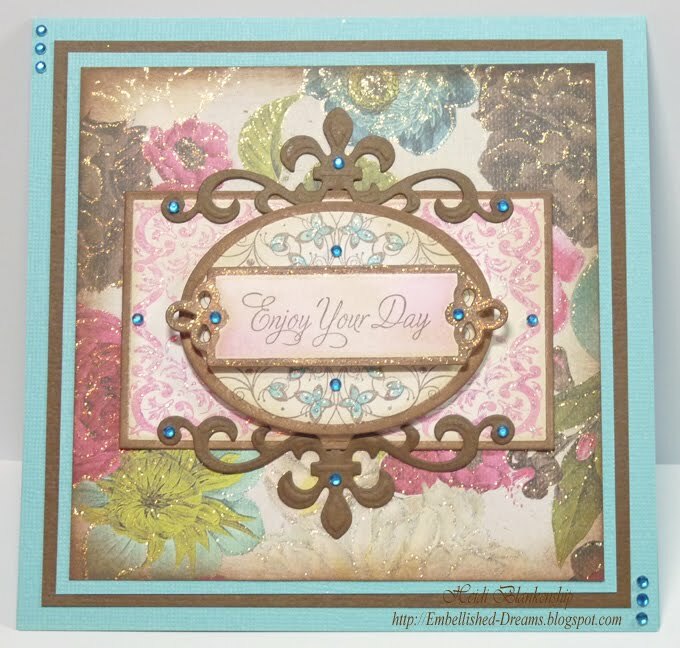 This is the CL-02105 Elegant Frames stamp set with includes 2 Large Decorative Frames, 1 Smaller Frame, 2 Accents and 6 Sentiments for a total of 11 stamps! 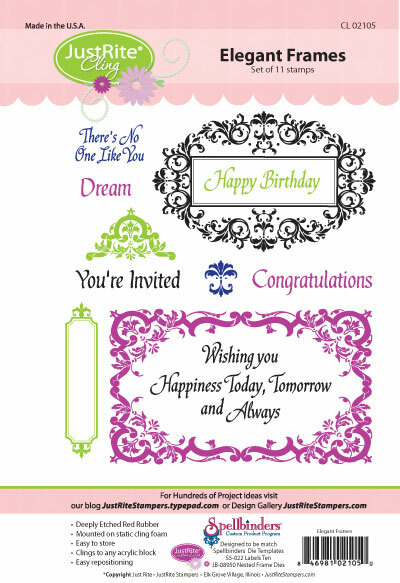 JustRite offers the Original Ribbed stamps and Cling stamp sets that can be mixed and matched offering endless possibilities for customizing your stamps and design work. 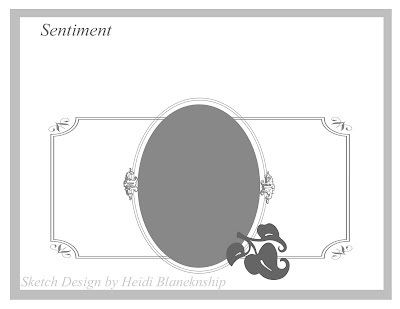 To start I stamped the larger frame from the CL-02105 Elegant Frames unto Simply Smooth White Cardstock from DCS using Rose Bud ink. Then I taped the largest rectangle die template from the JustRite Custom Dies JB-08950 Nested Frame Dies for perfect placement on the frame. 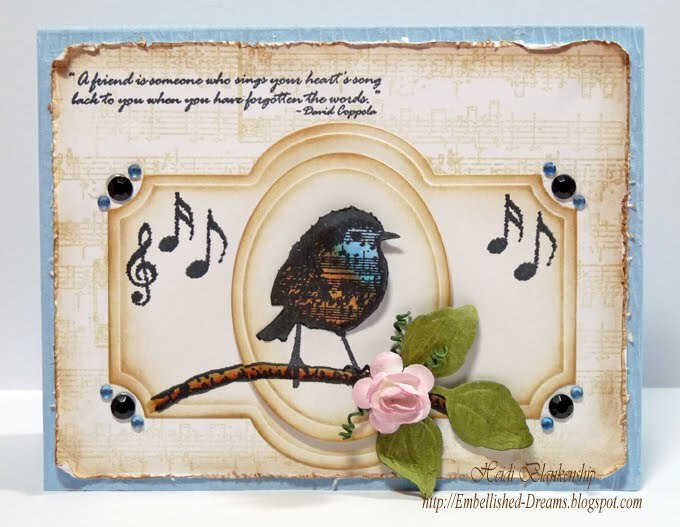 Next I stamped the border and the sentiment from JB-09855 Heart to Heart unto Simply Smooth White Cardstock from DCS using Rich Cocoa ink. I used the S4-110 Classic Oval Large #4 from Spellbinders on the butterfly border and the tag die template from the JustRite Custom Dies JB-08950 Nested Frame Dies. 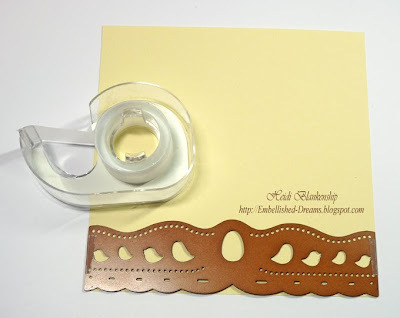 Then I used the Grand Calibur from Spellbinders to cut/emboss the die cut shapes. Before taping the die templates in place I inked the inside edges with Clearsnap Color Box Chestnut Roan Chalk Ink. This technique is called Reverse Stenciling and the results will be a nice crisp inked edge to match the project. Here you can see in the photo the pretty chocolate brown edges, this is from the Reverse Stenciling technique. 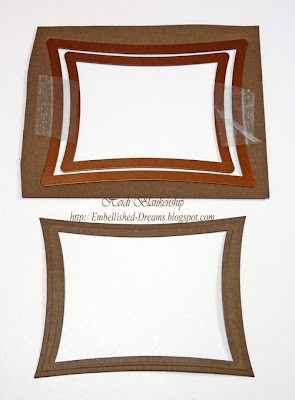 For the larger frame I inked the edges with Antique Linen Distress Ink from Ranger. 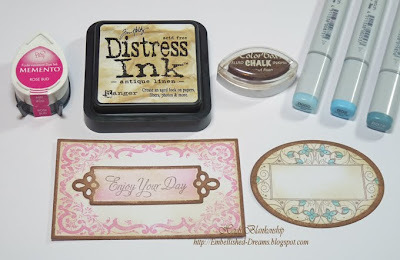 For the tag I used Antique Linen Distress Ink and Rose Bud Ink from Tsukineko. 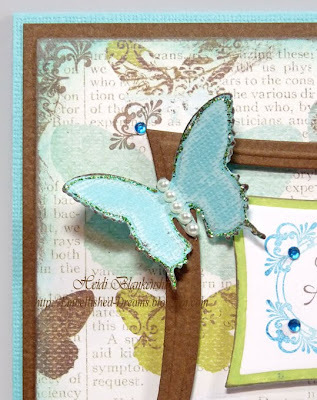 I colored the butterflies on the border with Copic markers and then inked the edges with Antique Linen Distress Ink. 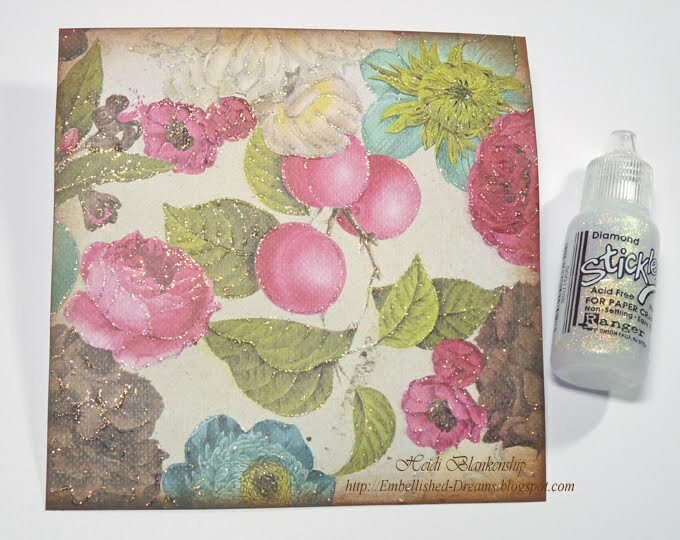 The background paper is from Prima, the Madeline Collection. I inked the edges with Chestnut Roan ink and edged all of the flowers and leaves with Diamond Stickles from Ranger. 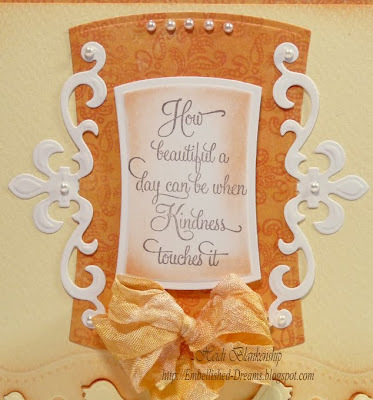 Here is a close up of the front of the card. 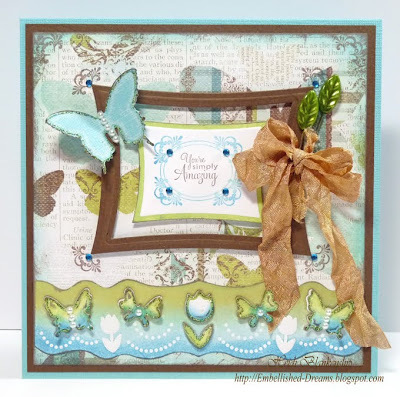 I added Diamond Stickles to the flourishes in the large frame, the butterflies in border and the edges of the tag. To create the Fleur de Lis accents I used S5-043 Fleur de Lis Doily Motifs and the Grand Calibur from Spellbinders to cut/emboss the die cut shapes. I also added little bits of Turquoise Baby Bling from Want2Scrap. In this photo you can see all the sparkle from the Diamond Stickles. 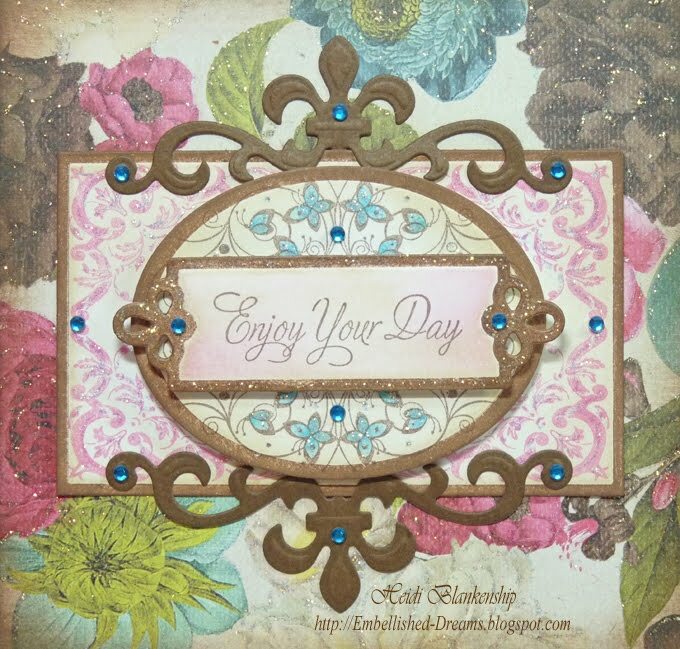 I used Zip Dry™ from Beacon Adhesives™ to adhere the Fleur de Lis accent pieces. 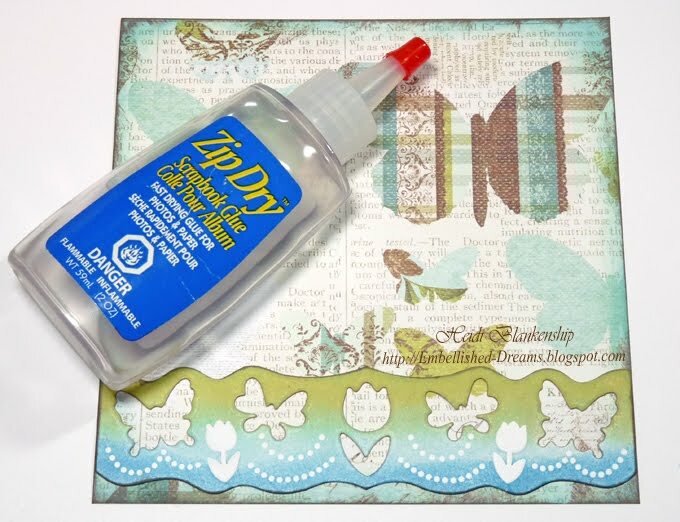 Zip Dry™ is the perfect glue for attaching small elements, if you get a little glue that seeps out from under the small pieces you can just gently rub the glue off! How cool is that? It's totally fail safe! The turquoise cardstock used for the card base and mat is from Core'dinations. The yummy Posh Milk Chocolate Felt cardstock is from DCS. I added 3D Foam Squares from SCRAPBOOK ADHESIVES By 3L™ to the border and the tag. 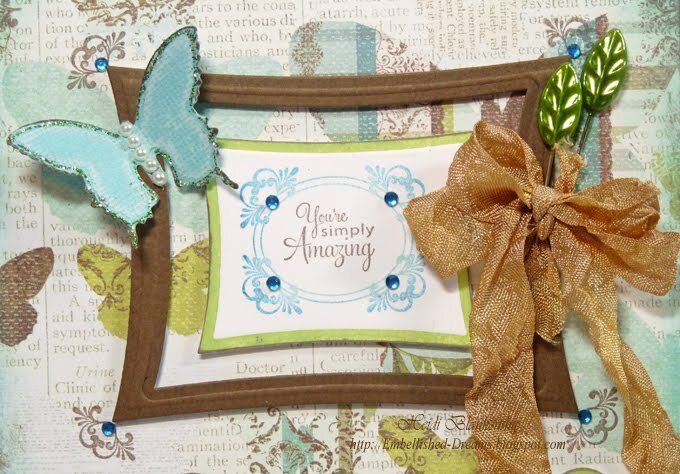 To finish the card off I added a few more pieces of Turquoise Baby Bling from Want2Scrap to the upper and lower corners. Please be sure to visit each of the Design Team Members and leave a comment on each blog for a chance to win some hidden blog candy!! Thank you so much for stopping by today! 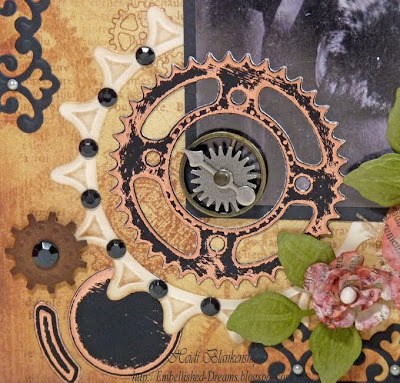 I hope you enjoy the blog hop and it inspires you to have some fun and create!! Rolled Felt Roses - My First Video Tutorial! !